Rescuers were headed Monday to Naracoopa Beach on Tasmania's King Island to try to save some of the 194 pilot whales and half a dozen bottlenose dolphins that began beaching themselves on Sunday evening. Some had died by Monday morning, said Chris Arthur from Tasmania's Parks and Wildlife Service. Last November, 150 long-finned pilot whales died after beaching on a rocky coastline in Tasmania. 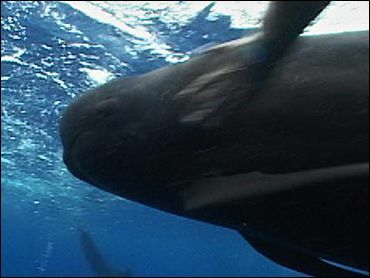 A week earlier, rescuers saved 11 pilot whales among a pod of 60 that had beached on the island state. Scientists do not know why the creatures get stranded.